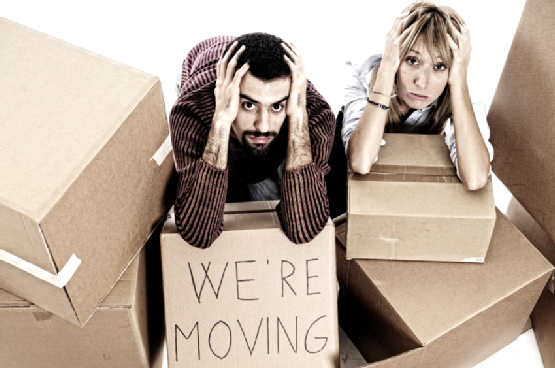 Moving is undoubtedly the most stressful work to do. We become accompanied with worries that nothing should be left behind and everything should work smoothly and safely without any loss or damage. However, in the struggle for keeping all the ducks in a row, we often forget to check that our finances should go along with the move without a hitch. If you are not hiring the best residential or commercial moving company then below is the list of things you should check before shifting your undertakings. Re-direct your mails to your new address. By doing this you can save your personal belongings from getting into a wrong hand. You can redirect in advance and set a period maybe twelve months or so, you will be charged a little amount but that’s okay for saving your credentials from getting hacked. The bank statements or any important letter is directed to the address that you have entered in our information stored on the database of our bank. When we move we often forget to update our info. Therefore before moving go for updating all your information on your bank’ database. Inform them in advance about your moving dates so that they can change their records. When buying a new home you should go for having building insurance. Whether you are renting your building or buying it, insurance plan is imperative for its protection. The moment you get to know about your new home you should set the policy in place. The professional movers do advice for first checking the insurance plan before moving. Moreover, apart from this, things like contacting your car movers or looking for expert moving services for keeping things smooth and checking your final meter readings are some of the many things you should check. Here I am going to offer you some easy tips of professional movers, which can help you, move your heavy and luxurious furniture without putting a scratch. Moving furniture requires quite a technique. They are heavy, expenses and sensitive as well. It is best to go for hiring a commercial movers company to do the job for you. However, I have listed down some guidelines to transport safely your furniture either to the next room or to another building. Read on! Well this is a not-so-important part but I am mentioning it just because it matters a little. Gather the tools and possibly important stuff before unscrewing your bed of planning to drag your cupboards out. You should have every useful tool so that you do not have to suffer in the middle. Here comes the important part! Measure the doors first before dragging or pulling your furniture out of the room. Your door might seem broad enough from a distant but the moment you and your best pal decide to pull that couch out you end up leaving a big ugly scratch on the door and on that fancy piece as well. So it’s better to go for precautions the to suffer latter. Measure the size of the hallways and the doors and all the areas through which that furniture has to pass. See if in length and width you will be able to move or not. The moving companies having experience in the filed know every tactics of moving furniture without getting into any trouble. Moreover, be smart when planning to move your furniture. If you want to move the table then take off its glass and put in aside, then move the wooden part. Similarly, if your side tables have unattached glass on it, it is best to first take these kinds of materials out before getting involved in the pulling ad dragging activities. Note every piece carefully and check the stuff that can be detached before moving. You should have the knowledge to use the right tool at the right place. For example when unscrewing a bed, you will need a screwdriver and a wrench. Similarly, you should know what to get for each type of furniture. The table legs, tops, doorframes, window blinds, and panel boxes everything require various tools. You can seek help form corporate movers too. You need to make sure that after disassembling the furniture every part is kept somewhere securely. You should not lose any piece or screw. After you get down with your bed put each piece and screw together in a cotton box or at a place where you do not have the fear of losing it. 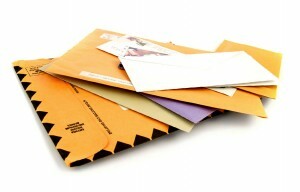 You should have proper packaging materials for each item or furniture. Get yourself some cotton boxes, plastic bags, papers, taps and ropes to tie every piece together and to wrap carefully without damaging any item. 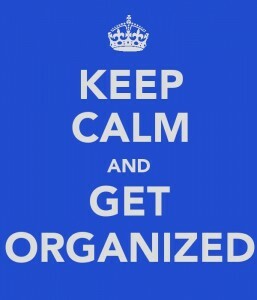 This is a great guide for staying organized during your move. Relocating is stressful as it is- you definitely don’t want to add fuel to the fire. 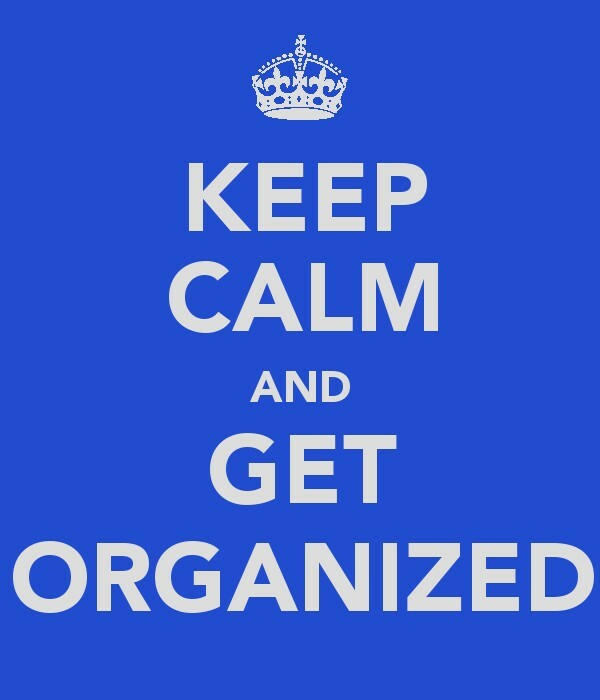 Keeping organized during your move will make the experience 100 times better! Trust me on this one. Start by giving yourself time! You should begin the process at least 1 month prior to moving. You definitely don’t want to wait for last minute. A packing schedule if you’re going to be packing yourself. Start room by room. And begin with the items you won’t need any time soon (out of season clothes for example). Most importantly, remember, slow and steady wins the race! 2) If you plan to pack yourself, go through your belongings and trash/give away whatever you can. The less stuff you have to move the more organized you can be. 3) Label your boxes!!!! The simplest, possibly most helpful organizational tip is to label boxes by room. This way you can have the correct boxes placed in their appropriate rooms It will make unpacking a million times easier! 4) If disassembling the furniture yourself, put all appropriate hardware in a bag and tape it to the items being disassembled. Hopefully these easy steps will help you in staying organized and calm during your upcoming move. For any additional questions please feel free to contact us at 202-570-7220. HealthStatus re ports that moving is one of the biggest stressors amongst people. Even if you’re upgrading your home, there’s something about relocating that really stresses people out. 1) Ask for help! Don’t be to shy or stubborn to ask for help. Ask your family or friends to help you pack, watch your kids or pets, etc. Even minimal help will make a large difference. 2) Hire help! Hire movers, cleaners, whatever you can to make the process easier for you. 3) Plan ahead. Don’t wait till last minute to start packing. Make an organized packing plan starting 3 weeks before your move. Make sure to stick to the plan so you don’t have too much to do last minute. 4) Pack wisely. Label boxes when you’re able to. This will help tremendously when unloading and unpacking. 5) Trash/give away what you don’t need. The less you move, the less you stress. 6) Treat yourself with something awesome once everything is settled in. The reward will motivate you to keep on going! 7) Take deep breaths! Try to keep yourself calm by taking slow deep breaths. Just remember that the stress will be over before you know it! These helpful tips should help ease the stress of moving. Good luck with your move! I’m here to tell you about the importance of customer reviews. I can’t stress enough how important they are. In fact, I’d say reviews are the most effective way to research a moving company. By reading the experiences of former customers you’re getting the most honest feedback possible. The reviews will tell you whether the company is reputable, trustworthy, or a bad idea. There are many websites available to check the reviews on moving companies. There’s yelp.com, movers.com, Angies list, Facebook, and most of the time the moving company itself has some reviews on their company website. For reviews on our company please click here for some customer reviews on DC Pro Movers. Now go do your research on those moving companies to get the best rate for the best service! Thumbs up for DC Pro Movers! Planning for that big move of yours? Let us help you! Below are some important frequently asked moving questions to make the process easier for you. Q: When should I begin packing for my move? A: The bigger your home is the more time it will take to pack it up. For large home we recommend beginning about 3 weeks prior to your move date. For smaller homes we recommend beginning 2 weeks prior to your move date. Q: What’s the best way to get an accurate estimate? A: Request an on-site estimate with a flat rate. This way the moving company is aware of all of the details and can give you a price according to your specific needs. Make sure this estimate is written and signed by the moving company before you schedule with them. Q: How can I check if a moving company is licensed?A: There are websites like https://safer.fmcsa.dot.gov/CompanySnapshot.aspx that allow you to search the licensing authority of every moving company. Q: Are there any items that shouldn’t be transported by the movers? A: A bill of lading is the contract between the customer and the movers. This should be given to you before the move begins. Make sure to review it before signing it to make sure there are no discrepancies. Look into different insurance options with your moving company. The standard insurance is very low so entertain all insurance options! This could mean using a third party insurance company or even your homeowner’s insurance- sometimes they cover the move entirely. It will be significantly cheaper to do the packing and wrapping of your furniture yourself! Label all boxes with your name and designated room. Make sure to read the moving company’s contract IN DETAIL. Some companies have hidden costs. If you can, be flexible with your pick up and delivery date- it will allow the moving company to give you a better rate. Follow the steps below for a smooth, cross country move! Call DC Pro Movers at 202-570-7220 for a free estimate for your upcoming cross country move! Moving can be expensive. Sometimes, way too expensive. As professional movers, we know just what to do to lower the cost of your move. Take it from the professionals! 1) Don’t wait until last minute to pack. If you do, you probably won’t complete all the packing by moving day and you’ll need the movers to help you. Time is money (in most moving cases)! You should try to have everything packed and ready to go so the movers don’t need to spend any extra time in your home. 2) Find out what furniture pieces have to be wrapped. Most moving companies require specific furniture pieces to be wrapped (ie TVs). Before the move, ask a sales rep what pieces have to be wrapped and with that. Go to your local Home Depot and purchase the supplies in advance. Wrap whatever you can before the movers arrive. 3) Again, time is money! Specifically if you’re moving locally. If you can, disassemble and reassemble all necessary furniture to save the movers from having to do that. The less work they have to do, the less the move will cost you! 4) Help the movers. Help carry boxes and light furniture pieces to the truck. For liability issues, you won’t be able to go onto the truck but bringing the items to the truck will speed up the move. 5) Use a company with a low minimum amount of hours. This is especially true if you’re moving a small home, like a studio or one bedroom. Some moving companies have a minimum of 4 hours or so- you don’t want to pay for time you don’t need. 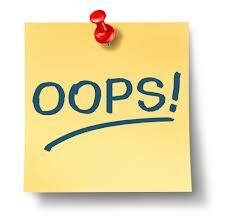 Unfortunately, there are many mistakes that people make when choosing a moving company. Here at DC Pro Movers we’ve created a list of the top 5 most common moving mistakes to make your next move a smooth transition. Giving less details and information about the move: The more information you give the moving company, the more accurate your estimate will be. If possible, give the moving company an exact list of the items to be moved. Details, details, details! Not reading the contract in detail: Some moving companies have hidden fees (ie processing fees, credit card fees, anything they can come up with!) It is very important to read the contract in detail. If you’re unsure about something, make sure to ask. If the moving company agreed to a discount, make sure it’s included in the contract. Every detail should be clearly written out with no room for discrepancies! Not researching the company enough:I’m sure everyone has heard all the moving nightmares. First and foremost, before choosing a moving company, check to make sure they’re licensed, bonded, and insured (http://li-public.fmcsa.dot.gov/LIVIEW/pkg_carrquery.prc_carrlist). Check the Better Business Bureau and any online reviews- keep yourself informed. Not being ready on the day of the move: It’s very important to begin packing and preparing for your move a couple weeks in advance. It’s always more work than you presume and it always takes longer than you anticipate. Begin doing a little bit every day and by the time moving day comes, you will be fully ready for the movers. Accepting the cheapest quote: Cheap is not always best! Cheap prices can lead to cheap service. Normally, if something seems too good to be true, it’s because it is. You will likely find all of the rates to be within close range to one another- anything out of the ordinary is usually better to stay away from. For any questions or for a free estimate, please feel free to call us directly at 202-570-7220.Good luck with your move!